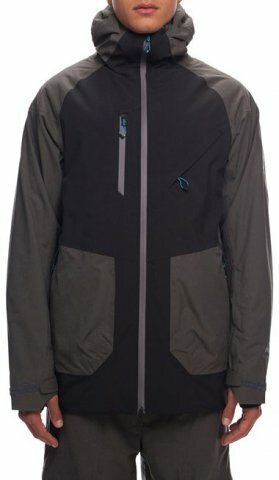 The 686 Hydrastash Men’s Jacket offers up pretty solid waterproofing/breathability but also has a unique hydration system built in around the waist. It’s a little bit of an awkward feeling at first but for most, it will be less awkward than a backpack. It’s got some insulation going for those that like more warmth in their outer layer and despite the non-helmet compatible hood and small media pocket it has a pretty functional layout. We try to get as many images of the 686 Hydrastash Men's Jacket, but forgive us if they're not all there.